Perdue recently made a big announcement about new animal welfare standards, but the question is whether the news is as good for the animal welfare movement as it seems. 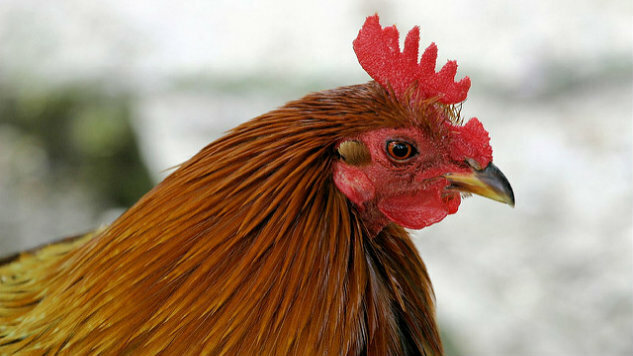 This latest announcement comes right on the heels of what HSUS has dubbed a “precedent-setting” animal welfare policy from poultry company. The animal protection organization worked with Perdue to set new animal welfare reforms, which includes converting slaughterhouses from shackling live animals to less cruel Controlled Atmosphere Stunning, installing windows into chicken houses and adding enrichments (i.e. perches and hay). Furthermore, the company claims it will study new space criteria and test slower-growing birds, rather than the incredibly large-breasted franken-chickens that are commonplace, today. The Humane Society of the United States is calling it a major success, but other animal welfare groups are skeptical that the praise is coming too soon and that the announcements will only confuse consumers. So, what do these announcements really mean? Let’s break it down. Start with the slaughter method: the most important aspect of its new policy. The current live shackling process is stressful and often incredibly painful for the animals. Chicken are trucked off from factory farms to industrial ‘processing facilities,’ dumped onto conveyor belts, their legs shackled by workers, all while fully conscious. They’re dunked into an electrocution bath, intended to render them unconscious, so they won’t move when they reach the neck-slicer. From there, they’re scalded in another bath, then defeathered. It’s an incredibly fast process. So, some chickens are not knocked out by the first bath, meaning they’re necks can be sliced while fully alert. If a bird misses the blade, it’s scalded to death — like a really bad night terror. One of Perdue’s 11 slaughterhouses uses CAS. The goal is to have the next CAS facility up and running by the end of 2017. They have no access to natural sunlight, they cannot get away from the flock, they have no means to occupy themselves and, as they grow, the ‘broilers’ get less and less space, making it difficult for their big breasted bodies to move. On pastures, chickens regularly scratch the ground, looking for bugs. When individual birds want to get away from the flock, they perch. Like most diurnal animals, they enjoy basking in the sun. By the end of 2016, Perdue has vowed to install windows into 200 existing poultry houses, using those houses to study bird health and activity in comparison to enclosed facilities. If the windows are deemed effective in increasing bird activity — one of Perdue’s stated goals — the company claims it will establish timelines for retrofitting openings into its 5,000 houses. Windows are also mandated for all new construction according to the guidelines. “It is something that is very much needed and it’s going to make the lives of these animals better,” says Balk. Although Balk and his colleagues at HSUS view incremental improvements as cause for celebration, others aren’t willing to light up the cigars just yet. “Our biggest challenge with announcements like this and so-called improvements is that it gives consumers a false sense of security,” says Andrew Gunther program director Animal Welfare Approved (AWA). If Gunther sounds touchy about the human element of factory farms, and Perdue in particular, it’s because he’s had first-hand experience working with the company’s sub-contractors. Even so, Morrison thinks some of the changes are positive. She approves the switch to CAS slaughterhouses and she is glad that windows will be installed — although, she worries the birds may pile on top of each other and, possibly suffocate, for access to sun. While the new criteria and studies are far from perfect, it’s still a leap forward for the industry to admit it can improve, whether that admission is coming from consumer trends or humane concerns. Sara Ventiera is a roaming eater and traveler who looks for amusing stories across the United States. She works from New York, Los Angeles and various places in between. Her work has appeared in theVillage Voice, New York Daily News, Zagat, FoodNetwork.comand more.